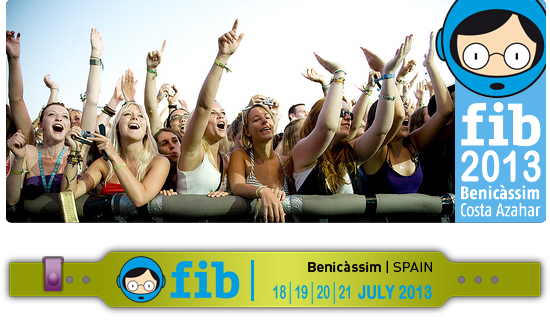 The International Festival of Benicàssim, also called FIB, is characterized by its eclecticism and its focus on the latest trends. It is one of the most internationally renowned and at European level. Music Festival of pop, rock, indie, electronic and otherwise, in addition to other activities (theater, fashion, film) held in the town of Benicasim (Castellon, Spain) every year since 1995.